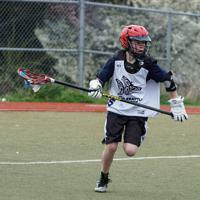 To learn more about North Seattle Lacrosse, please read through the information on our About page. Can't find what you're looking for? Just email us at nslaxpresident@gmail.com and we'll be happy to chat with you. Lacrosse is the fastest growing youth sport in the country right now. Don't worry if your child has never played, as we add new players to our program each year. Here are links to PDF's of girls and boys youth lacrosse books from US Lacrosse. This is a great resource for parents and players that would like to learn the game.